Now... 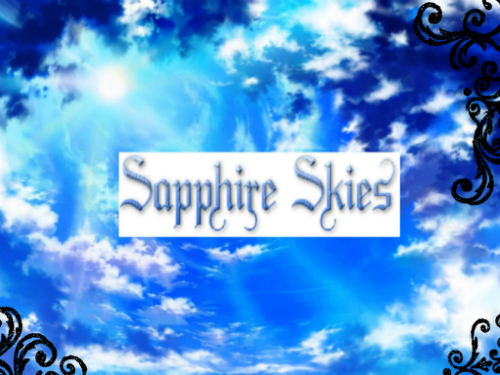 The theme song probably needs something about sky, or gems since Sapphire is a kind of gemstone. Now I just throw something up, and that is Diamonds. Well, I went along with the flying theme as well. And since this song is in nightcore, I'm going to put the non-nghtcore version beneath it because I don't know whether or not you can enter Nightcore on WQ or if people would understand it. So I suppose if you think the nightcore or the non nightcore one would be better you could use that one instead of the other as my entry. Well I found another one who is quite nice! After one week, the one with the most votes will be declared the pack song of the Sapphire Skies! Oh yeah xD go ahead!